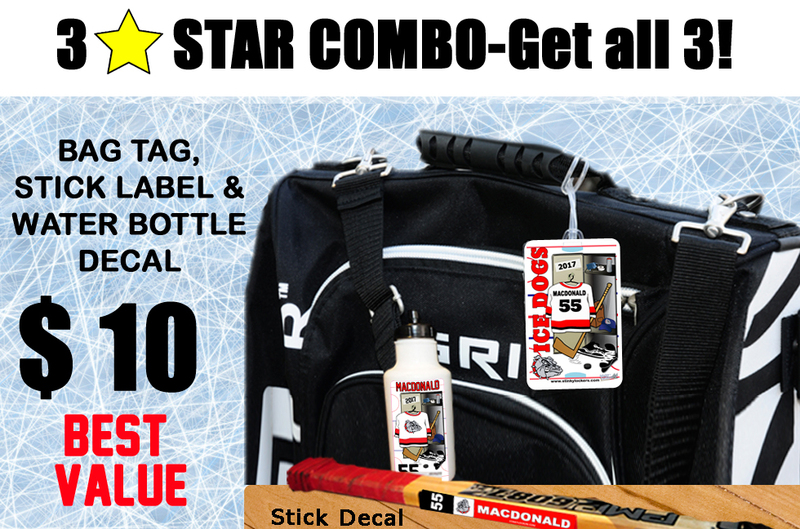 3 Star Player Combo - Stinky Lockers Ltd.
Just like mom said, "Your Name On It!". Well that's exactly what we've done with our 3 best sellers. A custom stick decal, water bottle decal and bag tag. Each features your name, number, team logo and team colors. All this for only $ 10 including tax!